The iPad Pro’s display is huge. 5.6 million pixels huge. 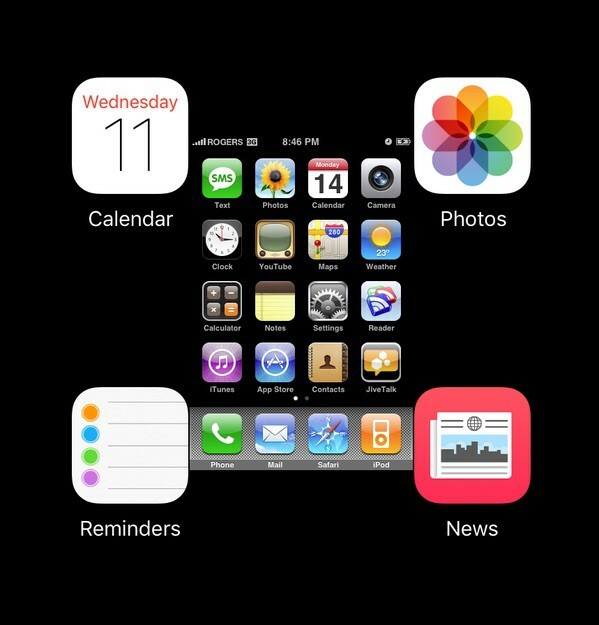 It’s hard to comprehend just how gigantic a display with ‘78% more display area than the iPad Air 2’ is, so developer Dennis Munsie put it into the perspective by showing that there’s actually more pixels inbetween the iPad Pro’s app icons, than there are on the entire display of the original iPhone.